Keep your beverage cold and close at hand on your Helinox chair. Also clips onto raft straps, your belt, or most camp chairs. This Cup Holder puts an end to frustration of trying to find a convenient, yet safe place for your beverage. No more tripping over your drink, spilling it into the sand, or worse yet, going without refreshment. Keep your beverage cold and close at hand on your Helinox chair. Also clips onto raft straps, your belt, or most camp chairs. This Cup Holder puts an end to frustration of trying to find a convenient, yet safe place for your beverage. No more tripping over your drink, spilling it into the sand, or worse yet, going without refreshment. 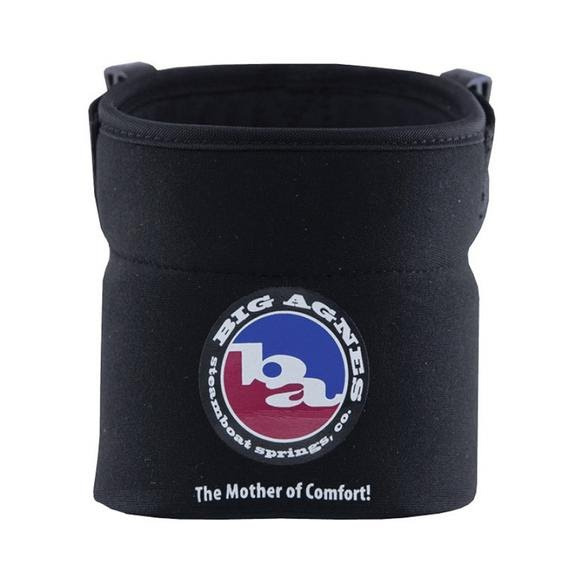 The neoprene fabric works as insulation for your drink, and is sized to fit a wide range of drinking vessels.